The Laguna Mountain community draws people who enjoy and treasure the beauty of the local mountains. Mt. 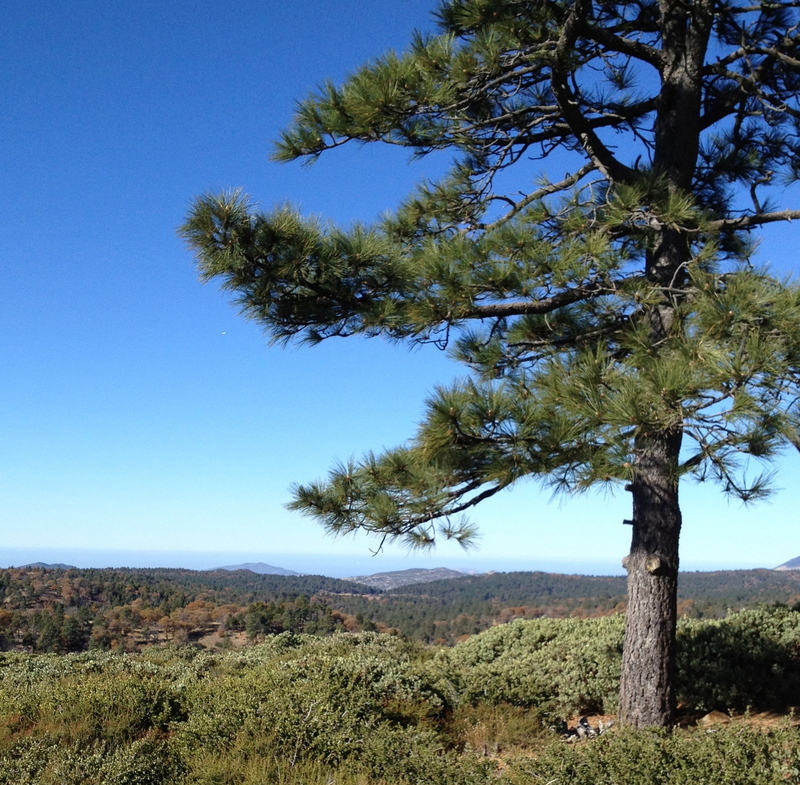 Laguna stands at 6,000 feet and is a pine and oak forest. Coming from all parts of Southern California from the coast to the California-Arizona border, visitors are attracted to the mountain in all seasons. Hikers, bicycle riders and motorcyclists, snow enthusiasts, cross-country skiers, naturalists, those looking for a weekend getaway, cabin owners and private property owners are drawn to these mountains for stays of a few hours, many days or to make their home. The Lagunas are part of the Peninsular Range of mountains extending north to south from the Los Angeles Basin to deep in the Baja California peninsula. The Peninsular Range is relatively young in Earth history, being only a few hundred million years old. The Laguna Mountains form the geographic backbone of San Diego County, dividing the western inland and coastal areas from the eastern desert. The Desert Overlook off Sunrise Highway offers a spectacular view of the vast Anza-Borrego Desert below. Mt. Laguna is along the start of the Pacific Crest Trail that goes from Campo near the Mexican border to the Canadian border. Each year numerous Pacific Crest Trail hikers come through the community to rest and rejuvenate before tackling the next leg of their arduous journey. General Store, gift shop and cabin rental. Outdoor Recreation Equipment, Apparel and Footwear. The Post Office is located at 810 Sunrise Highway right next to the Mt. Laguna Lodge. The Post Office sells postage, mailing materials, general delivery, money orders, package mailing, and other basic postal services. Post Office boxes are available for rent. Hours: Monday-Friday, 12:00 – 4:00 pm, Saturday 9:00 am -11:00 am. LMVA is a private, volunteer organization open to anyone interested in supporting Mt Laguna. The volunteer Association operates under the supervision of the Forest Service. Volunteers engage in many activities that help make our mountain more enjoyable. LMVA participants staff the Visitor Center, maintain the 35 miles trail system in the Laguna Mountain Recreation Area, provide interpretive services including summer nature walks and campfire talks, camp ground recycling. Check out the LMVA website for more information. 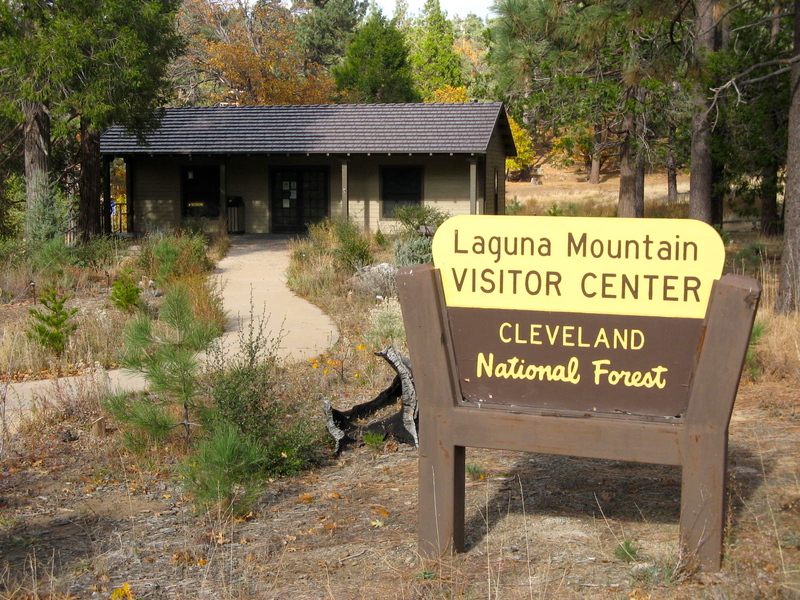 The Visitor Center is operated by Laguna Mountain Volunteer Association and staffed by LMVA volunteers. The Center has a good selection of books, maps gifts and knowledgable volunteers who can answer questions about areas to hike, points of interest, and current conditions on the mountain. The Visitor Center is open on Friday afternoon, Saturday and Sunday. It is located on Sunrise Highway at the junction of Los Huecos Rd. The phone number is (619) 445-6235. The Observatory is operated as part of the Astronomy Department at San Diego State University. It is located off Sunrise Highway at the eastern edge of the Forest on Mt. Laguna. The Observatory has four-telescopes ranging in size from 21 inches to 50 inches. Remoteness from the city ambient light and high number of clear nights make excellent night sky viewing. Periodically SDSU offers nighttime observatory viewing and programs for the public. The Visitor Center will have information about dates the Observatory is open for night sky viewing.